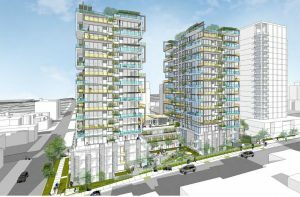 Vivagrand Developments is planning to develop a 22-storey tower on a corner lot at Davie and Nicola, just the latest tower in a wave of development sweeping across the West End. 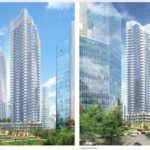 The new tower will contain 107 market condominiums and 51 “social housing” market rental apartments to replace the units lost in the existing four-storey apartment building. 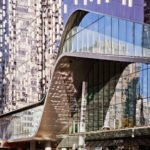 85 per cent of the market condominium units will be two bedrooms or larger. 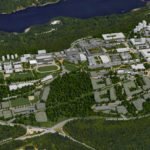 There will be separate entrances for the rental apartments and the market housing, and the building will be surrounded by a large water feature on both the Davie and Nicola frontages. 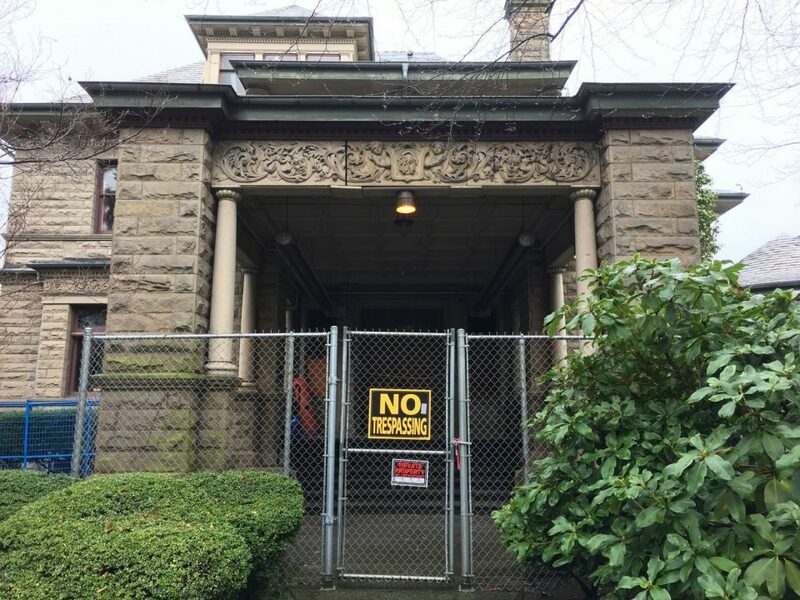 The site is across the street from the Gabriola Mansion, which is in the process of being converted into rental apartments and townhouses. 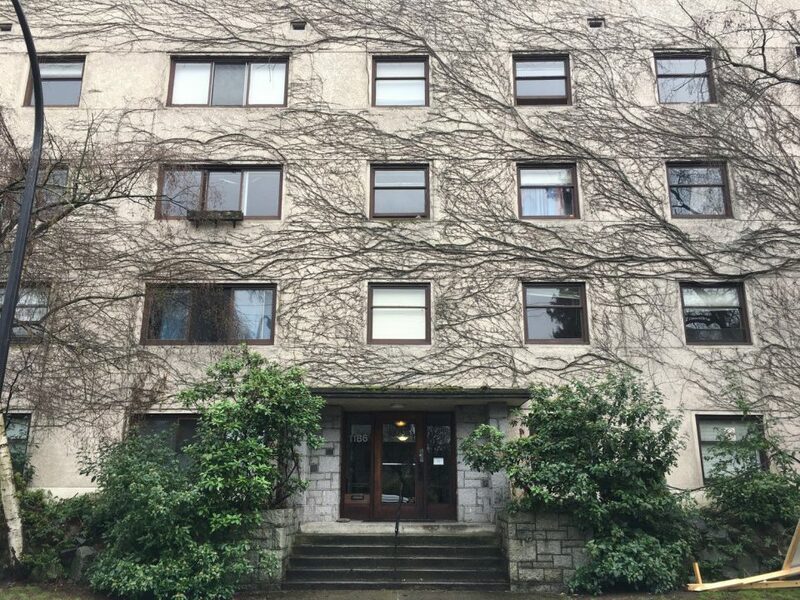 This four-storey building at Davie and Nicola will be demolished to make way for Vivagrand’s 22-storey condominium tower. 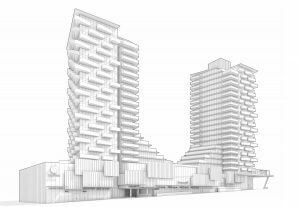 Architectural drawing of 1485 Davie Street by Vivagrand Developments, showing Davie Street frontage. 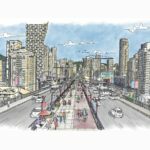 Credit: City of Vancouver/W.T. Leung Architects Inc.
View of the Westbank site on Davie Street at Cardero. 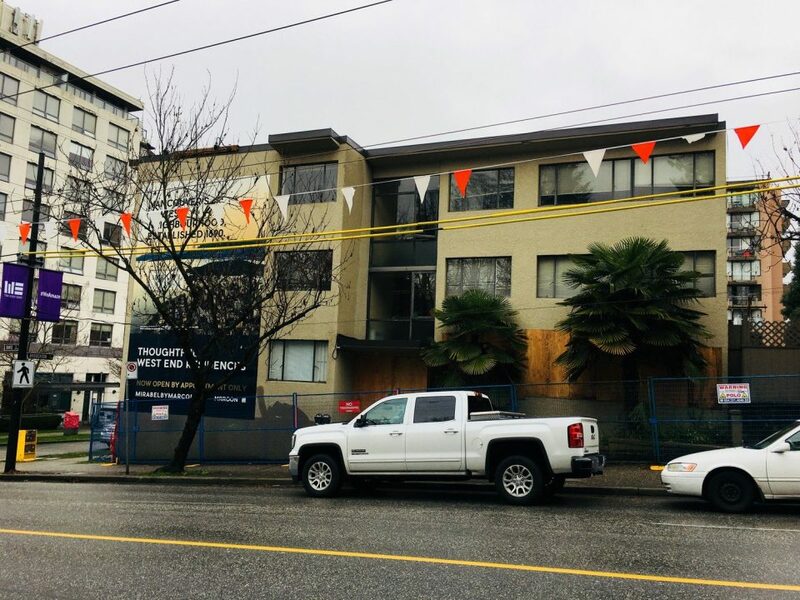 The development is just the latest on the western end of Davie Street, where almost the entire north side of the street is in the process of redevelopment. 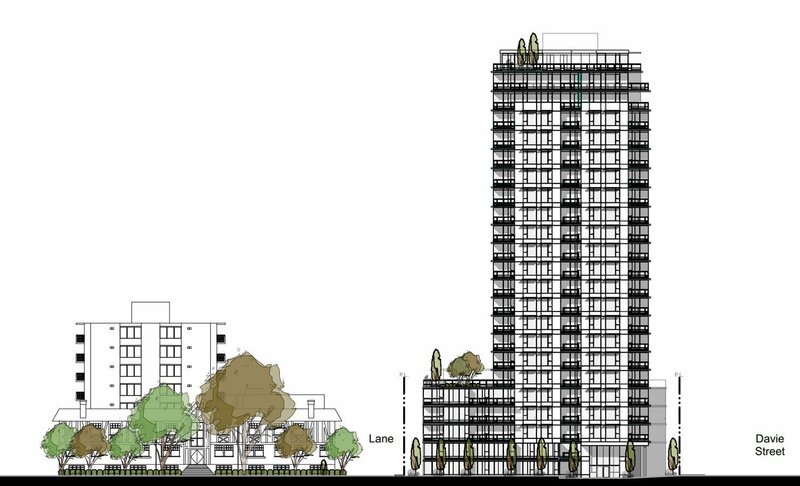 The Safeway on Davie Street will be replaced by a new store, and two rental apartment towers. 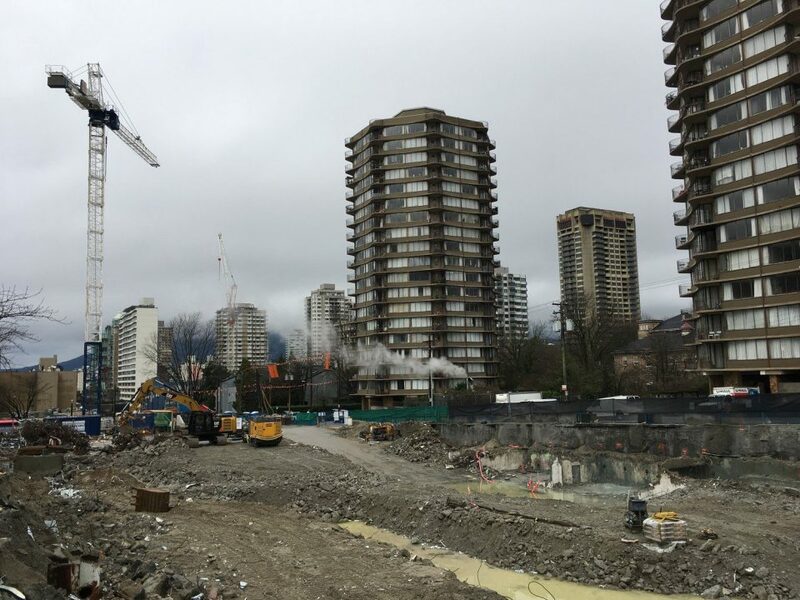 Recently, the Safeway, BC Liquor Store and several smaller shops between Cardero and Bidwell were demolished to make way for a two-tower rental apartment project by Westbank, as well as a third rental apartment tower by Reliance Properties. Across the street on a former parking lot next to London Drugs, another rental apartment tower is being constructed. 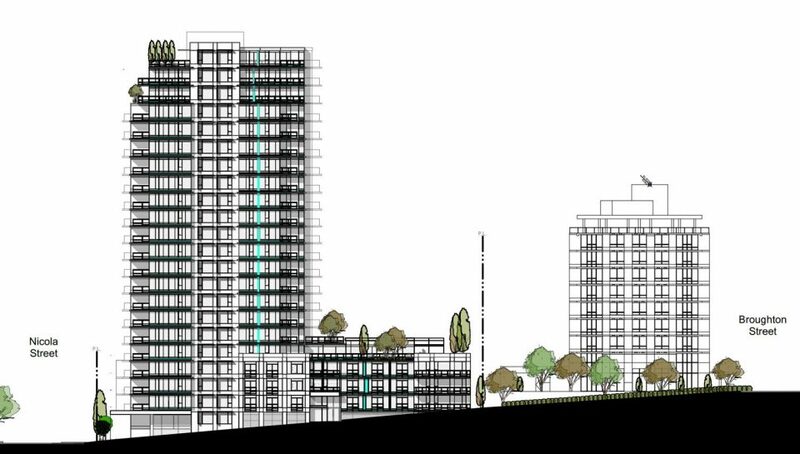 Marcon is developing two new 18 and 19-storey towers at Davie and Broughton. 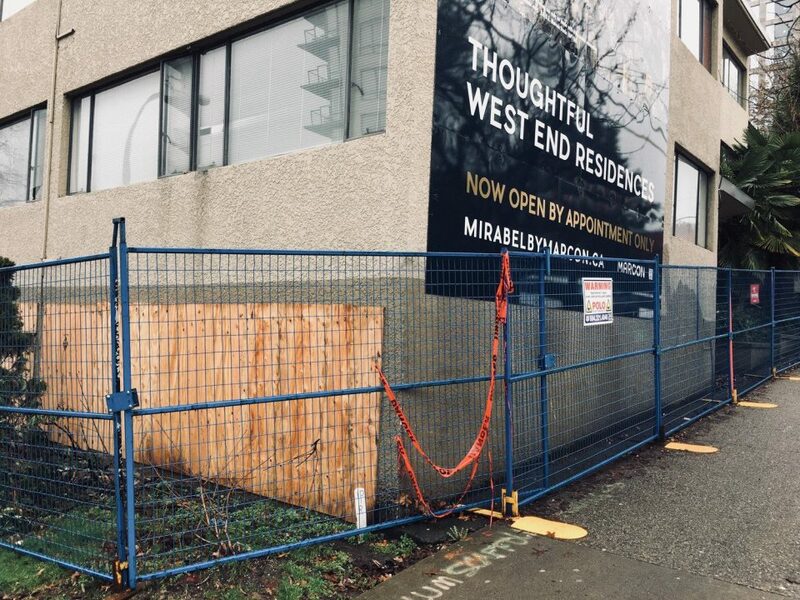 At Davie and Broughton, fencing is up around a 50s-era apartment building and a 1980s woodframe building, slated to become Mirabel by Marcon, a luxury condominium development with social housing units in the podium. 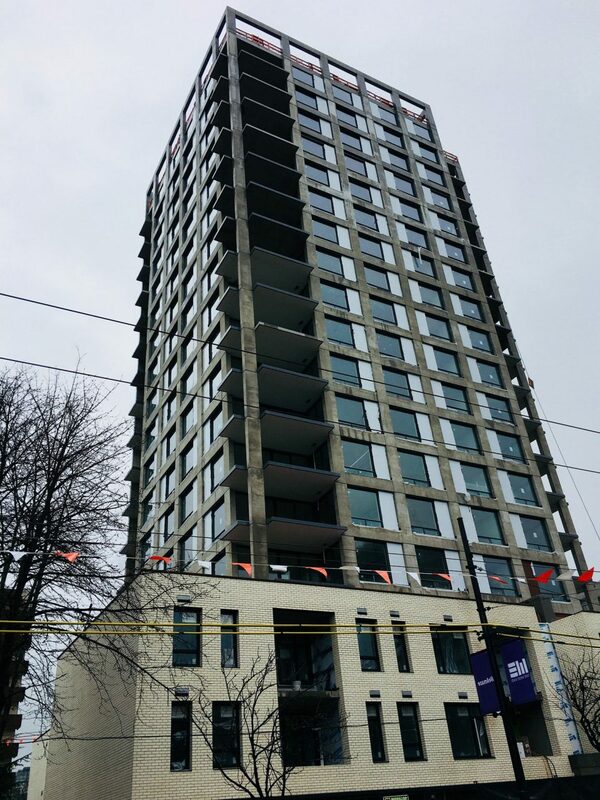 And at Jervis and Davie, construction is nearly complete on The Jervis, a 19-storey luxury condominium tower with interiors by high-end Gastown retailer Inform Interiors. The development also contains 28 social housing units. 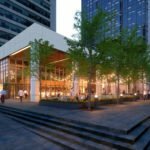 The Jervis, by Intracorp, is nearly complete at Davie and Jervis. 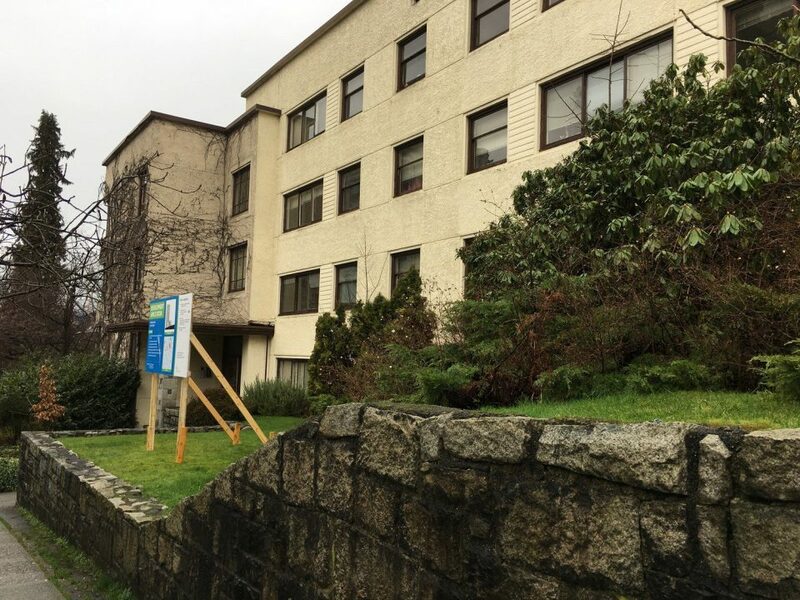 The Gabriola Mansion, formerly the Macaroni Grill restaurant, will also be converted into rental apartments. 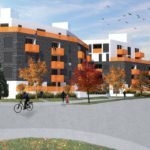 Mirabel by Marcon will replace this rental apartment building at Davie and Broughton. 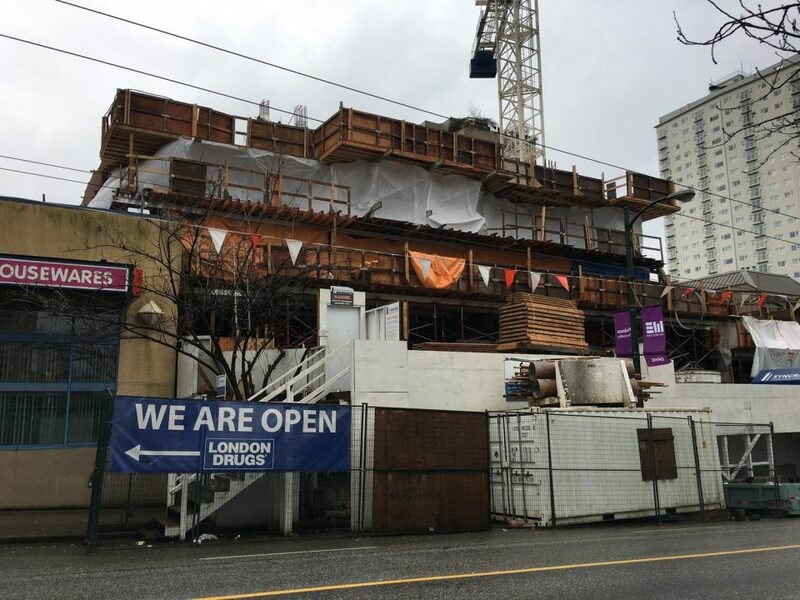 A new rental tower is under construction next to London Drugs on Davie Street. 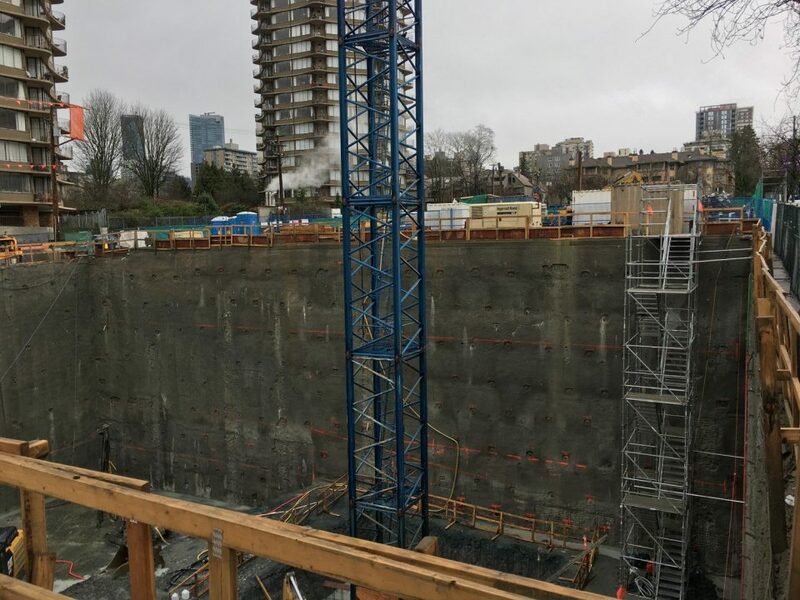 Excavation of the parking garage for an upcoming rental apartment tower by Reliance Properties at Davie and Bidwell.